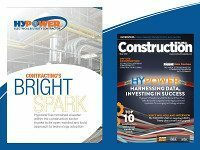 Ranked by ENR magazine as a top electrical and utility contracting company in the Southeast, Hypower works with some of the leading general contractors, utilities, developers, and institutions in the United States. The company operates through several divisions that specialize in electrical building construction, outside plant power and communications projects, prime electrical infrastructure, airfield lighting, and ground-mount solar nationwide. Hypower also specializes in 24/7 commercial and industrial electrical service and repair in South Florida. Founded in 1991, Hypower is licensed to operate in 30+ states upholding high safety standards and quality results on all projects. Hypower’s maintenance and repair team provides top quality service for a well maintained building to reduce overhead costs and provide a safe and secure environment. As the leading airfield lighting solutions and services provider nationally, our mission is to deliver to our customers the latest technology at the highest level of quality, supported by unparalleled customer service. Hypower is committed to providing you with superior turn-key service on your renewable energy project. Hypower provides full engineering, design and construction support to electric utility clients nationwide on power and communications infrastructure initiatives. Hypower is recognized as one of Florida’s foremost electrical contractors combining safety and quality with efficiency and cost effectiveness. Since 1991, Hypower has been a leader in delivering quality and timely turnkey service solutions to meet the needs of our telecommunications clients. For almost a decade now, Hypower has implemented the use of Virtual Design and Construction (VDC) to deliver better results to our clients. Focusing on the triad of time-budget-cost, Hypower utilizes latest Building Information Modeling (BIM) software, like Navisworks, AutoCAD MEP, and Revit MEP to ensure that all construction and design conflicts are resolved during pre-construction.